Born into a poor family of peasant farmers, John understands the value of hard work. He knows that the only chance he has to improve his life and the lives of his siblings is for him to finish his education; therefore, he has worked very hard in primary school, resulting in a good academic standing. John sat his national examinations and was among the top-scoring students. 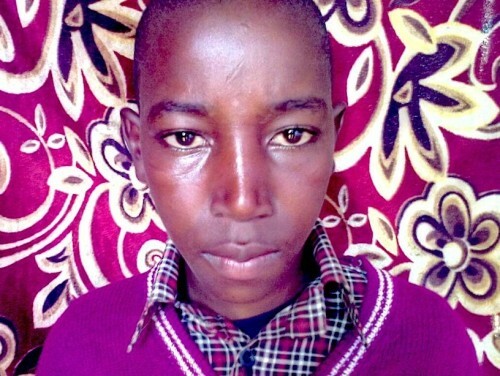 Sadly, though he was accepted to a secondary school and they tried as hard as they could, his family was unable to raise the money necessary for his school fees. He has been heartbroken watching his friends go off to secondary school without him. Now sponsored, John is so excited to continue his schooling. He can’t wait to learn new things and gain more experiences in secondary school. John is the hope of his family; his parents are so proud of him and his siblings all look up to him.